Husband-and-wife YouTube team Rachel & Jun first started making videos in 2012 as a fun way to keep in touch while they were apart. Now, with over 350,000 subscribers, the Japanese-American couple covers a variety of subjects, from what’s considered overweight in Japan to making mochi. 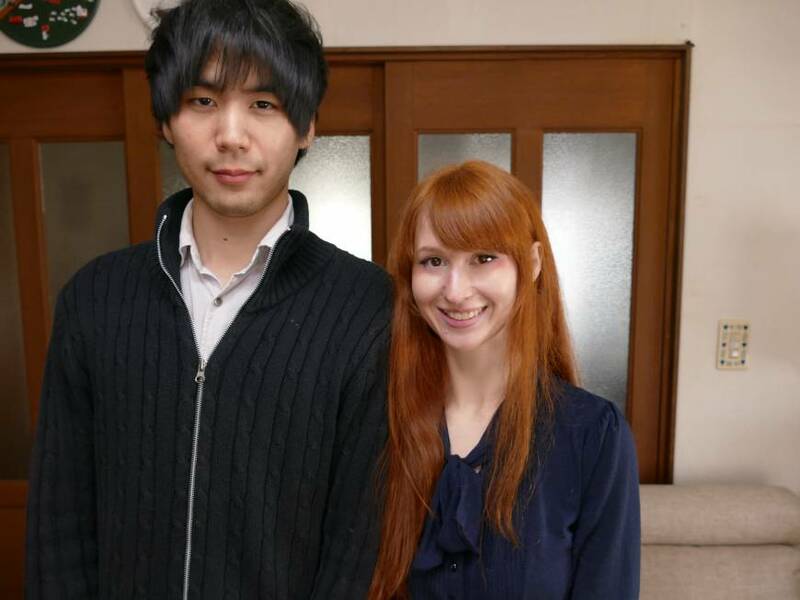 The couple first met at Nagoya University of International Studies when Rachel was studying abroad. Having fallen in love almost immediately, they decided to get engaged after dating for just a month. After spending four-and-a-half years apart, they now live and make videos together in Nagoya. Appealing to foreigners and Japanese people alike, their videos primarily aspire to explain the differences between Western and Japanese cultures. 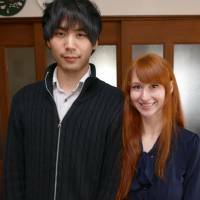 In an interview with The Japan Times, the duo opened up about the realities of being a Japanese-American couple, their channel and the criticism Japanophiles face. Rachel, while you were dating Jun, you had to stay in the U.S. for nearly five years because of a job contract. How did you guys make that work? There was never a time for us when we were like, “Maybe we should just split up? This isn’t really working out.” But other people would be really pessimistic about our relationship. You know, that’s how YouTube is. Even if we had to be apart, it was still better than not being with him at all. It was really hard and very stressful. I was on antidepressants. I was on anti-anxiety medication. I’d have panic attacks. I cried a lot because I missed him so much. Every time we met, you knew your heart would break again after you have to say goodbye and separate. How did your families react when you told them you were a couple? Obviously they didn’t react very well in the beginning, and it was the same in his family. In Japan especially, you often don’t tell your family if you’re dating someone. I found cheap tickets to come back . . . and they were for one week after I bought them. So Jun had one week to tell his parents that, not only did he start dating a foreign girl, but we were engaged and she’s coming to visit in five days. And she is going to stay with us for a month. His family didn’t react very well to it either, but everyone is used to it now. Is it stressful playing the daughter-in-law role in a Japanese family? I have found it really stressful being a part of Jun’s family, but part of that is that I am a very high-anxiety person and I am really big on pleasing people and trying to be perfect. That’s absolutely impossible in a country where I don’t speak the language perfectly and I didn’t grow up in the culture. I make mistakes all the time. They might not care, but I take it really hard. I think I put a lot of pressure on myself. Your videos originally started out as a way to keep in touch with each other, but now you guys are some of the top J-vloggers. What has changed since you’ve earned followers and Internet fame? After more people started following us, I felt more pressure to keep up with things and produce more often. We definitely put a lot more priority on this in our lives now. Now that we do so much with it, a lot of our daily life is devoted to things about making videos. We always take our camera with us when we go out. Now we’re working on a series of videos where we’re interviewing craftsmen, so we want to start travelling and finding craftsmen throughout Japan so we can interview them. That’s really neat because Japan has all these regions with their own unique specialty. Are there any topics or videos that unexpectedly kicked off a bigger reaction than you expected? We had a really positive reaction to our recent White Day video, which I wasn’t really expecting. A video defending “weeaboos” turned out to be really controversial. I just wanted people to think about who they are bullying and try to sympathize with them a little bit before they start being mean. But, people got really up in arms about it, so people really hate “weeaboos,” I guess. I found that the foreign community who is interested in Japan can be really elitist, like there are right ways to like Japan and there are wrong ways. Everyone thinks that they have the correct way to like Japan and that they are better than the other foreigners that like Japan. It’s always like people are trying to one-up each other, or put themselves up higher in an imaginative hierarchy here. It’s kind of sad. There is a lot of criticism, isn’t there? Did you find yourself responding the same way in the beginning? I have always been pretty honest, I think. I used to really like anime as a teenager, but I grew out of it when I got older, and then I ended up studying the language in college because my job would pay for it. And then I came here to study abroad, and it was just really awesome. Now I’m really interested in the food and the fashion. A lot of your videos are about explaining Japan to viewers. Have you ever been tempted to go back and re-do or revise a video after your opinion or knowledge changed? There are a lot of things that I would like to update in past videos. Now that we’ve gotten used to how people respond on YouTube a little bit better, we know how to add our disclaimers so people don’t get the wrong idea. I kind of wish in some of our earlier videos that I could go back and put more disclaimers in. I want to do something about how I’ve changed these past few years or how Japan has changed me. I don’t ever go back and watch my old videos because I don’t like seeing myself on camera. It’s just embarrassing. I can pick out all the flaws. If you make some Japanese people very angry they will hold onto a deep grudge. The anti-fan is a big thing here. If you make a video about Japan that portrays Japan in a negative way, or say something that is not conservative, or imply that Japan may be wrong in some area, they will despise you and think you’re like an enemy of Japan. Do you make an effort to explain everything to both Japanese and non-Japanese viewers? We’ve mainly stuck with explaining Japan to foreigners, but we do like making videos for our Japanese viewers, too. We’re definitely paying attention to our Western and Japanese audiences. If we’re talking about something that is about pop culture in America, we might have to explain it to our Japanese viewers. We have to be careful if we know one thing is really offensive to Americans, or if one thing is really offensive to Japanese people. When we started out we had no idea just how intense people can get. We did a lot of controversial stuff in the beginning that we would really be hesitant to bring up these days. We feel really, really grateful and blessed to make videos and have so many people who support us and are so kind and nice. When we were separated for four-and-a-half years of our relationship, I really put a lot of myself into YouTube because it was really hard to be apart. No matter how I was feeling, I would be able to go online and just talk to our viewers, and it would always make me feel so much better.